great place to stay for the money spent. everyone was very polite & helpful. hotel is older but kept neat & clean. I've paid more for less. if you need anything just ask & someone will help you. we have stayed here before and found it to be a good deal for us. desk people and airport driver were friendly & helpful........we appreciate that. Airport driver very courteous and helpful. 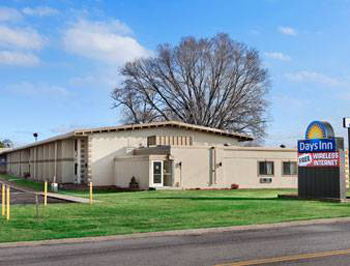 Shared valuable information on how to contact Days Inn Bloomington on return trip. Very good rate for hotel and parking while on trip. It's an old hotel, but has been updated very nicely. Kept very clean which is of great importance. Staff very friendly and helpful. Shuttle service was prompt and gracious. Great value - only stayed one night, able to leave our car there for 8 days while we were gone, then called the shuttle to pick us up upon return. Very convenient. Room was basic but nice and comfortable. We stayed here because of opportunity to leave our car for 14 days while we were in Mexico. However I would stay here if we were just in the cites for an overnight stay. Mohammad was VERY accomodating, helpful and friendly. The bed was like a ROCK, though, our ONLY complaint. Have you ever considered getting together with "Sleep Number" Beds? It would bring people to your hotel and bring business to Sleep Number! Excellent option for stay and fly out of MSP airport. Excellent shuttle service, one of handful of hotels that allow for more than 7 days of parking. Room was fine. We were pleased with the service,park &fly worked well.